When it’s cold outside, make soup. This thick and hearty soup is just right for a cold winter’s day. You only need six ingredients and water – no fat, no ham hock, nothing you don’t want. 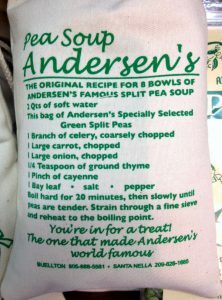 This is my version of Andersen’s famous (in California) split pea soup only I simplified it a bit and it’s deeeelicious! I like this soup thick but you can make it thinner using more water if you like. Or test it out and you can just add some hot water at the end of you want it thinner. The creamy texture comes from straining the soup through a fine sieve and it’s really easy using a soup ladle to press it through. I do not recommend using a blender or food processor because it creates too much foam. 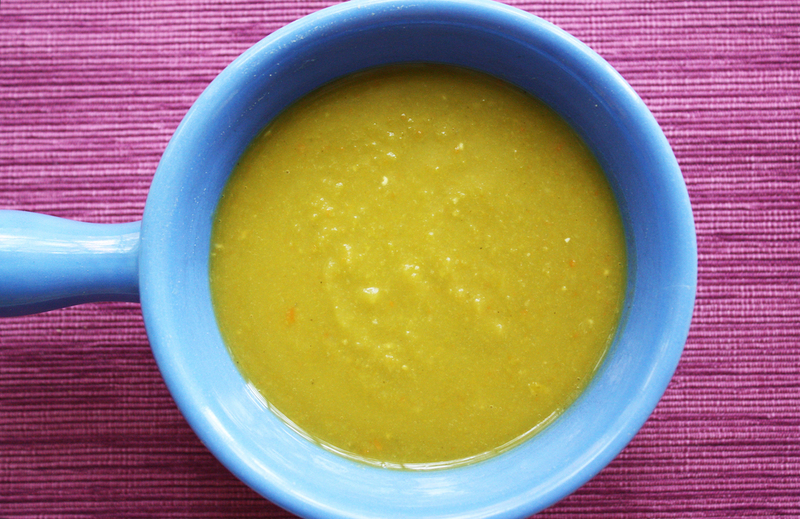 15 Comments on "Simple Pea Soup – It’s Fat Free"
Hi Jennie, My Mother was a great cook just like you. She made a lot of Polish recipes because my Father is Polish. 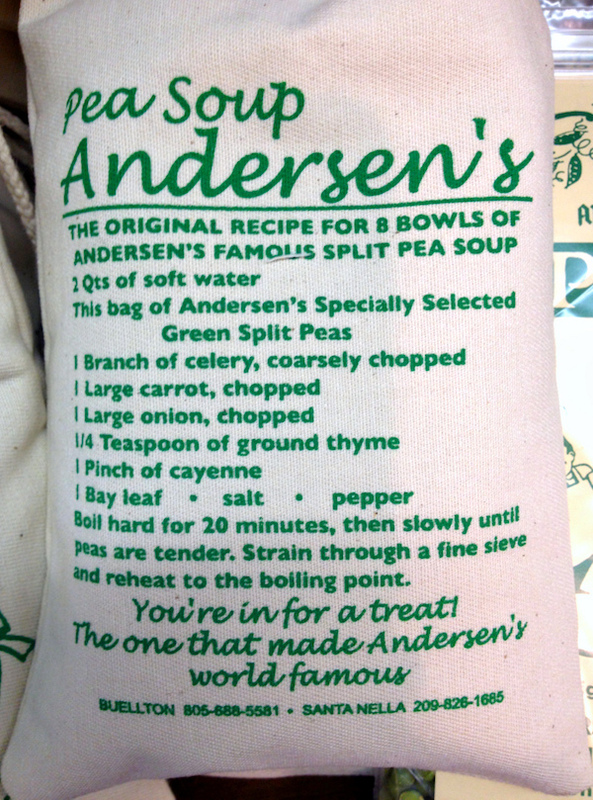 Her pea soup was thick and delicious. My aunt made a cream of asparagus soup (fresh from the garden) and it was white, a little thick, and creamy. Do you have a recipe for this soup, especially how to make it so creamy? Thanks. Why did you stop posting on YouTube? I loved watching your videos! I have seen many recipes for cabbage rolls. Why is the green cabbage used instead of red cabbage? Thanks for the soup recipe. Can’t wait to try it. I made your caramel corn and cinnamon rolls recipe for Christmas as well as your spritz cookies. A big hit! Thanks for all of your recipes and the time you take to help us all out. Your videos are the best!! Happy New Year, Jenny and God bless. Thanks for the simplification of A’s SP Soup. You can certainly add cubed ham or lace it with bacon. 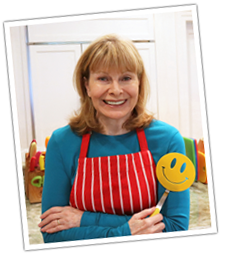 I watched you so many years ago on television and loved your show and then I started watching cooking videos and I found you here on YouTube and I was delighted . I have watched so many of your videos and I am constantly checking to see if you have any new ones out there. I hope you will make some more videos because you are so humorous but yet so clear on how to do each recipe. You are an absolute delight to watch and you are so good at giving instructions , I hope to see some new videos soon. Thank you for all you have done . Jenny I made your soup today so so good! I would like to join in requesting that you make more of your videos They are funny have clear step by step directions and your encouragement and humour make people want to jump in and cook healthy! Thank you for this recipe I am looking forward to making it. I plan to add boneless pork shoulder. Is the recipe using dried split? If so, does it not require soaking before cooking? They are dried and I clarified the recipe. No soaking is needed. Jenny, Another wonderful recipe! Just when its freezing cold outside we get ‘soup’! Making it today. Happy New Year! Jenny I love your recipes! But I really, really miss your videos! Please do more videos your so good at doing them! Love your humor!